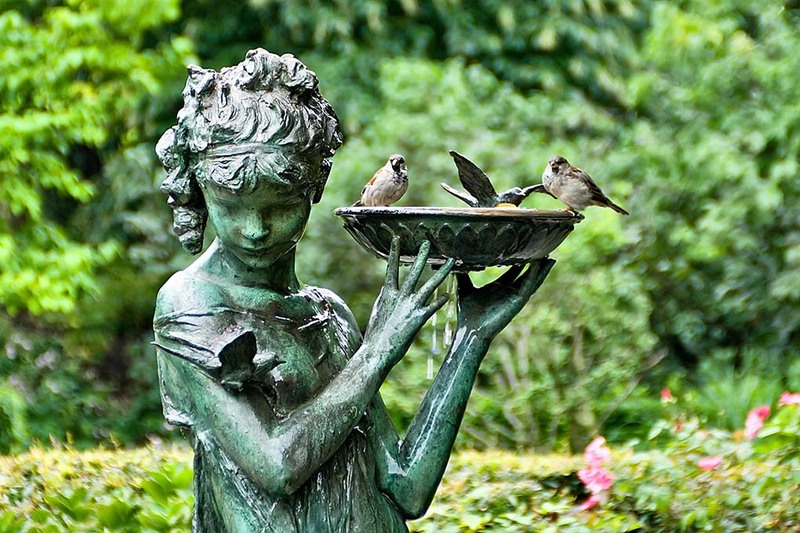 It’s heartwarming to see birds flapping around in a bowl of water and this classical figure/bird bath is sure to attract many feathered friends. I love how the metal has developed a gorgeous Verdigris patina that not only enhances the character of the sculpture but lets it blend in with the surrounding greenery. 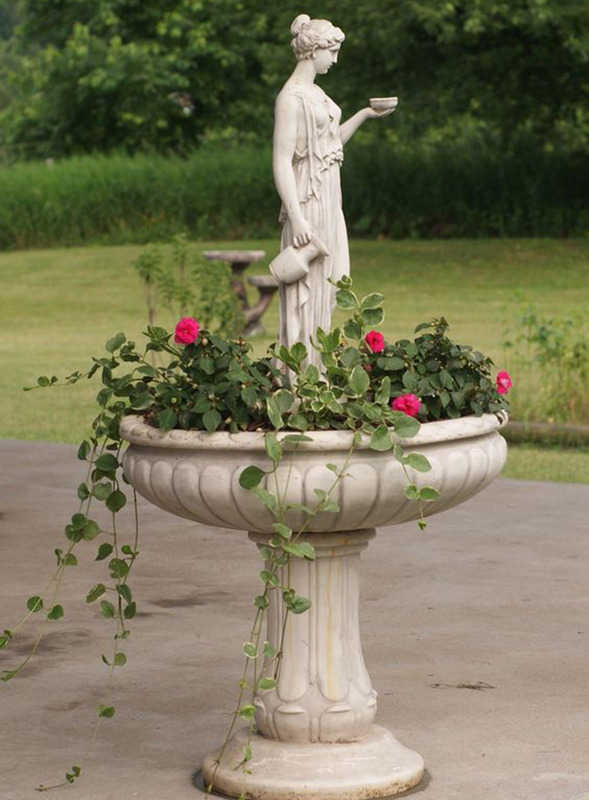 A statue topped with an open urn is a fabulous alternative to a standard plant pot or container. The girl statue is cute and charming and overflowing with hot green and pink petals for a blast of welcome colour. 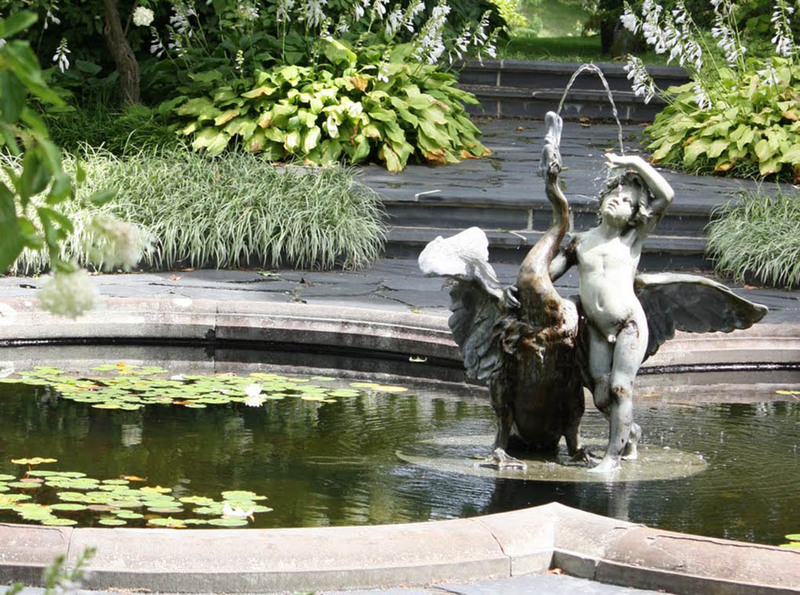 Dream of Italian courtyards and pretty French gardens by choosing a classic statue that doubles up as a water feature. It’s a statement piece for sure that will set the tone of your garden and create a soothing backdrop of trickling water. 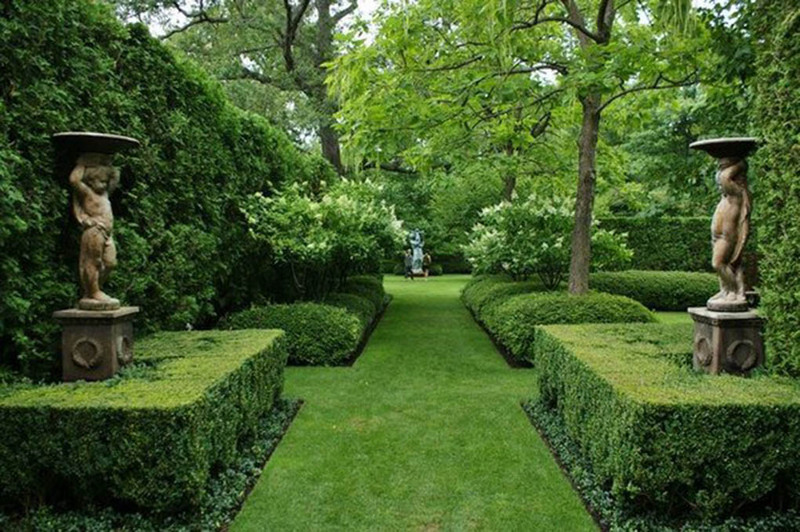 Pared-back, planting and neat, box hedges laid out in a grid of rows and columns are simply crying out for a pair of statues like in this garden. The Greek statues add gravity, calm and just a little hint of grandeur to our busy 21st century lifestyles. Zen gardens are quiet, contemplative spaces for thinking and being, where simple planting, natural materials and the soothing flow of water are its hallmarks. 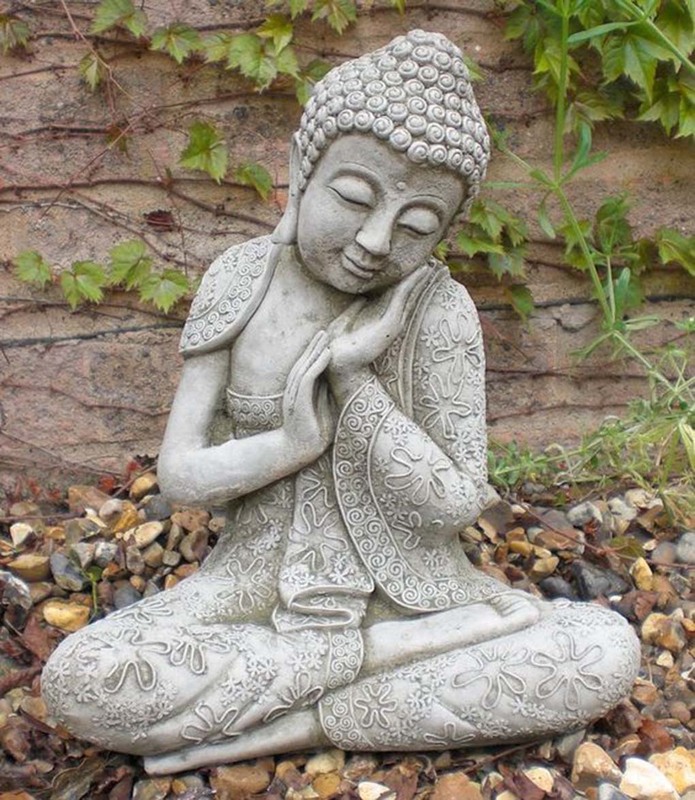 But that’s not forgetting the all-important Buddha statue for the best Zen-like ambience. Ommmm…. 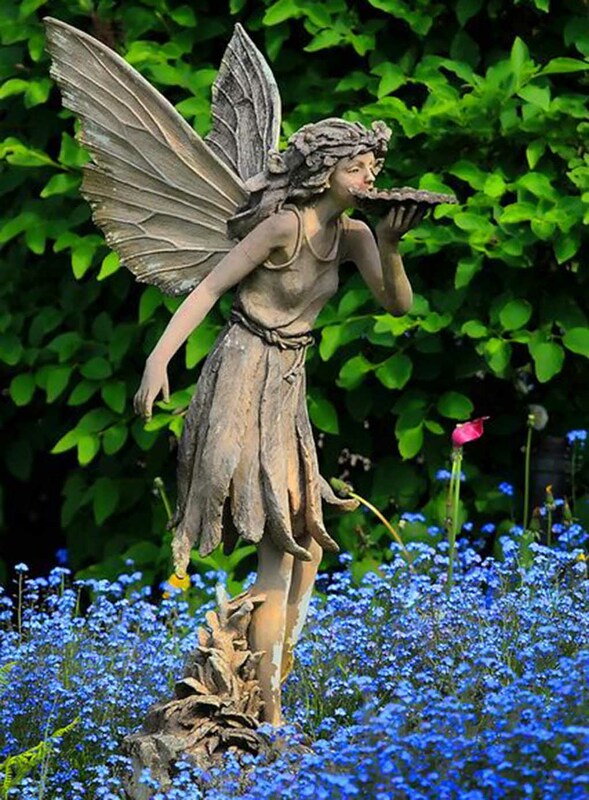 Are you a big fan of statues and sculptures in the garden? Please share your pictures and comments below.